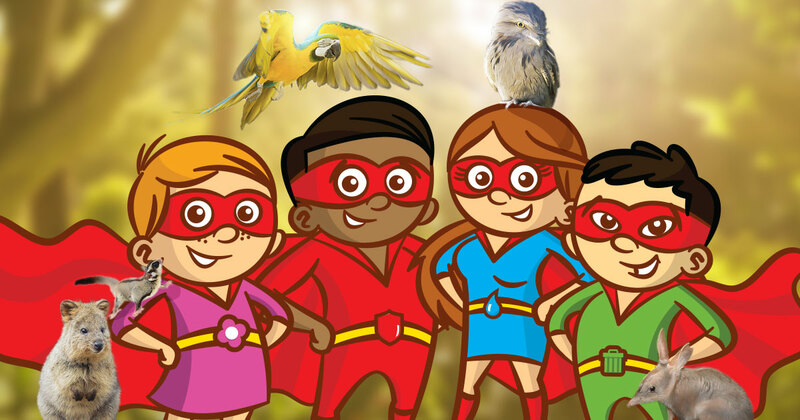 To celebrate the new Zooperhero School Holiday program at Adelaide Zoo & Monarto Zoo taking place from 14 April until 28 April, we have a FAMILY PASS to both Adelaide Zoo and Monarto Zoo to give away. We will choose two winners – one winner will receive a family pass to Adelaide Zoo and one winner will receive a family pass to Monarto Zoo. It’s time to put on your superhero mask and find how to keep our planet safe! Children will receive their very own superhero mask and learn how to become an everyday superhero. 2) Send an email to info@littlelattes.com.au titled I WANT TO BE A ZOOPERHERO and let us know which Zoo you would most like to attend these holidays. 3) The competition opens on Monday 10 April and ends on Saturday 15 April at 9pm. TWO winners will be chosen and an email will be sent informing them which family pass they have won. They will have 48 hours to claim their prize. Once claimed, their family pass will be emailed and attached in the form of a pdf document (the winner must have the ability to open pdf documents to access the family pass). 4) By entering this competition you are agreeing to a complete release of Facebook from any or all liability. 6) Little Lattes reserves the right to change the details of this giveaway at any time. 7)Little Lattes decision is final and no debates will be entered into.